What is the best combination (racket + rubber) in table tennis? Best paddle for a beginner? top bat for spin or for speed? These are the common questions that you asked. Today, coach EmRatThich will explain 3 types of setup in table tennis. You will understand more about the table tennis equipment, and why Chinese players love using a very hard rubber on a flexible blade. sir , how is DHS hurricane 3 neo on forehand for looping technique ??. and what is the best blade for this rubber .?? what rubber would be best for the back hand ?? Hey. I have been following you for quite sometime. The problem in India is, u haven’t found a sport shop that gives you more than a stiga or butterfly blade along with MarkV. Can you suggest me a blade and the rubber for overall playing style. PS : I’m more of an offensive player! And is there a website where I can order it from online? Need something allround but really offensive!! coach I like to use medium pimples on my backhand and smooth maybe hard or soft rubber on fh what blade do you recommend. hello, I now just starting to play with custom racket. I got advice start of with Otcharov senso v1 (7ply all wood), so i can used it for long time. what is your opinion? Hi EmRatThich. I am so sad i watch this video too late. I bought a bat for maybe 100€. Very hard, stiff blade and very soft backhand rubber, it bounces like kilometers away :@ but forhand rubber is medium-hard dhs rubber. I can realy feel dhs rubber has a lot more control. But now i have a question. First i like to play with control and with a lot of spin but also i am not a defence player. Because of that should i buy an all-around blade or soft blade? Hello.I’m very happy with the conclusion of this video, as I know now that I have a very good combination of blade and rubbers after 2 expensive mistakes, and its paying off in my training sessions and in matches. For those asking what are the benefits of flexible blades I will grab the definition of ttdb: Flexible Blades have a longer dwell time, generating more spin, they also perform well for mid distance looping, stiff blades are better for smashing and blocking, also stiff blades are in general more fast than flexible blades. For those asking what is a flexible blade: its a blade that is capable of “certain degree of bent during a full motion stroke” (imagine a bamboo tree), in contrast, stiff blades don’t bent. They where both very nice and expensive blades, but i was loosing to much control and consistency on my strokes, those blades where not for my level, they where too fast, and my technique was stuck, this was also confirmed by my coach. A nittaku Violin with DHS hurricane 3 neo on BH and a DHS Skyline 3 neo on the FH, and its all I was dreaming it to be, after a month of training with it, I am a better player now (I’m still at intermediate level though jajaja), I sold my other blades and never looked back, playing with this set its a marvel, and my couch is very happy, thought more advanced players than me, told me that it is slow. I think this is because they are so much used to euro stile rubbers like tenergy that they became lazy to put their own energy on the ball, letting the rubbers to do all the job. Thank you! I switched from OFF++ Donic Ovtcharov CarboSpeed to DEF Yasaka Sweden Defensive and noticed the difference in spin and control right away. Im an offensive player and I use Donic Bluefire M1 in forehand and Bluefire M2 in backhand. What do you think of Xiom rubbers ? hey, thanks for the valuable insight! when you say had but thin rubber, how thin are you thinking? Thank You! hi coach,can u teach me how to choose the best rubber thickness? Hello Coach @EmRatThich : I am avid follower of your video tutorials and always lookout for your tips and suggestions to improve the technique. On your advise on understanding my game and choosing right setup. I am moving from begineer to an intermediate stage. All this while i played with local stag prebuilt racket and often had issues controlling. I’ve gone ahead and bought : Stiga Allround Classic with , Tibhar Evolution MX-P (red/black) . so my understanding was this blade gives me good feel and awesome control but not much speed. To compensate i’ve got the Tibhar evolution mx-p which is not too soft a medium hard rubber but gives me that speed i lack from blade. I guess my understanding of the setup is correct and my playing style is offensive. I would appreciate your feedback and any suggestions you may have. Should we buy 2.0mm or 2.2mm rubber? Is the ciom stradivarius good? Coach, regarding the blade, flexible, ok, but what about outer wood layer? How soft/which type do you reccomand? Tha k You! hi coah can you give me some example of flexible blade. Sir, what do we mean by a flexible blade? how to choose the thickness of the rubber in this combination(hard rubber+soft wood)? is 1.8 millimeters sufficient or should it already be 2 millimeters? as far as i remember, someone told me, the rubber provide their properties just with 2 millimeters?! thank you in advance for your hints and sorry for my horrible english! Thanks for your generous advice. Now i know that i have the right combination for my game.and level. I play with OSP blade Expert, and tenergy 25 , flexibel,and medium hard rubber. 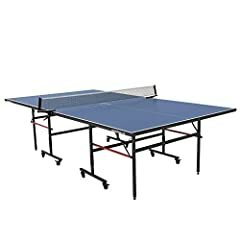 EmRatThich Table Tennis Coach, what are some cheaper chinese rubbers that you would recommend that would be similar to a DHS Hurricane 3 rubber in terms of hardness and tackiness? You may go to woodprix website if you’d like to make it yourself guys. Is there anything special to take into account when using a penhold (with rpb) setup that is different from what you mentioned in the video? I thought of buying the Stiga allround or offensive classic plus Hurricane 3 and Skyline 3 rubbers. 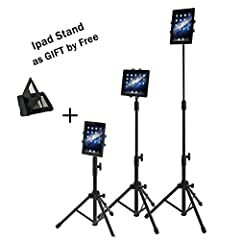 Would you recommend a different setup? I love your videos they are very informative and entertaining. Just fantastic how you explain everything. I have one question.You said a hard rubber with a flexible blade is a good setup (kick effect, spin,control) but do you know any examples for that.Maybe from the brand Yinhe or Palio brcause they are cheaper than other.Like maybe around 30-50$? Thanks. Surprised to see that not a single suggestion or question from commenters about 7ply Sanwei FEXTRA. I wonder to which category this blade belong? I am in search for a good rubber to match with this nice blade! I am planning to buy a Stiga all round classic blade. I am a beginning table tennis player who has already developed a technique to a lesser extent. Which rubbers would you recommend to me on this blade? I understand the logic behind the concept of hard rubber and flexible blade. But without having tackiness the hard rubber is difficult to spin on serves. It needs momentum such as a high toss or opponent loop to generate the spin. With this set up would I lose spinny serves with hard rubber? Also what do you mean by “flexible” blade? Do you mean with a slower speed rating? Can you please give some examples? The DHS Ma Long blade is rated at very fast. I don’t agree on the statement that a soft blade + a soft rubber = control. I find such setups to be wildly unpredictable, particularly with modern tensor rubbers. I like a thick and stable blade with a hard outer ply and a medium to hard rubber for control myself. Is Timo Boll Spirit work well for DHS H3neo ? Custom Glove for $150! 44 Pro Signature Series Unboxing! Do you like our videos? Do you want to see more like that? Please click below to support us on Facebook!